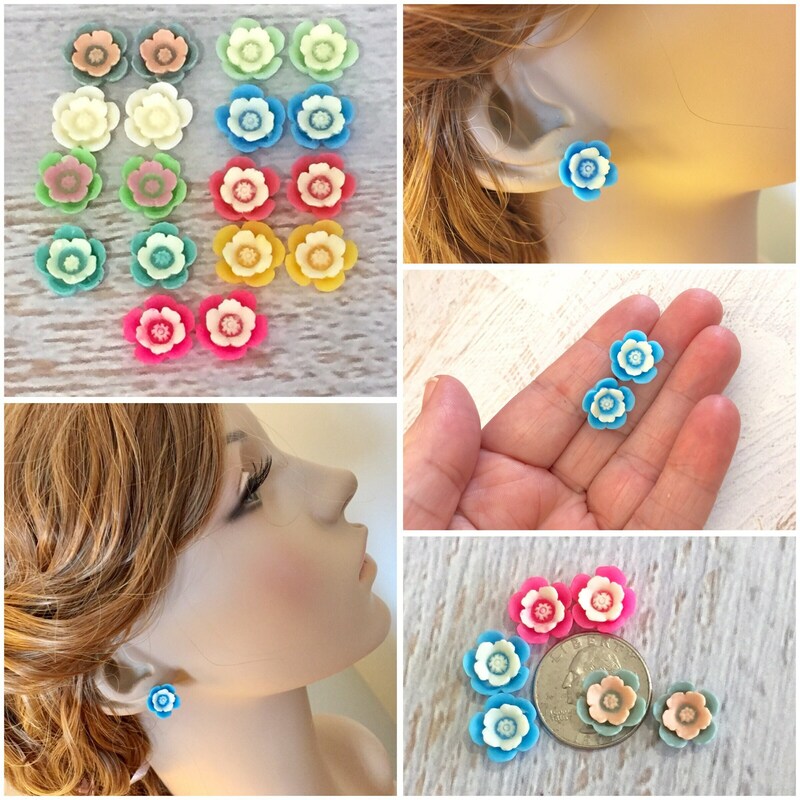 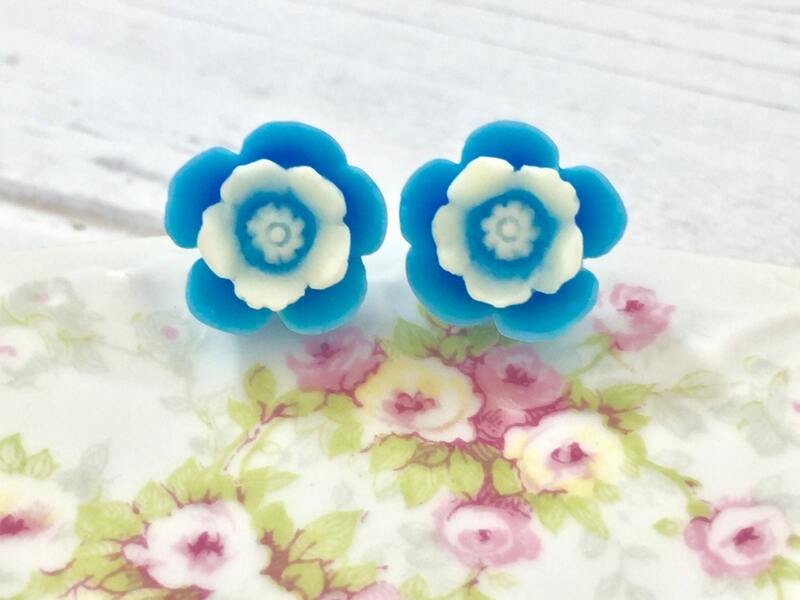 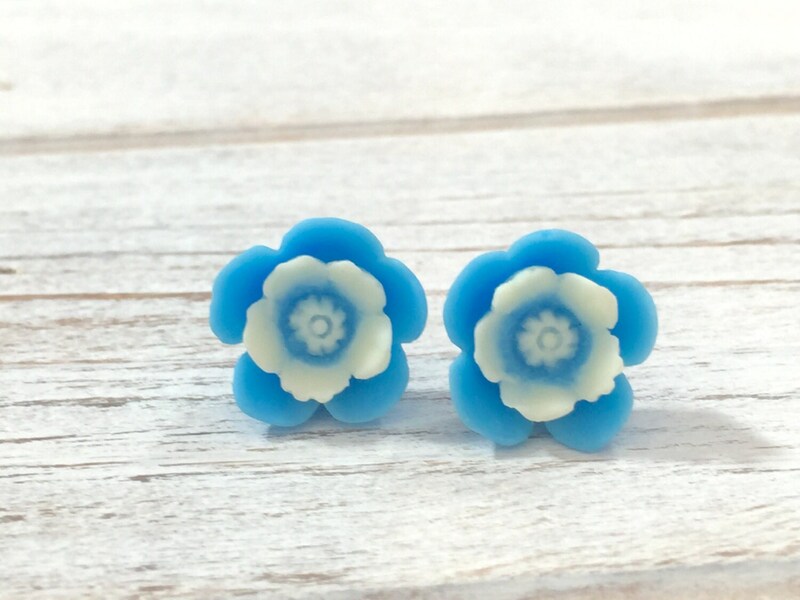 I use resin flower cabochons with cornflower blue colored petals and an ivory center & surgical steel stud blanks to make these lovely earrings. 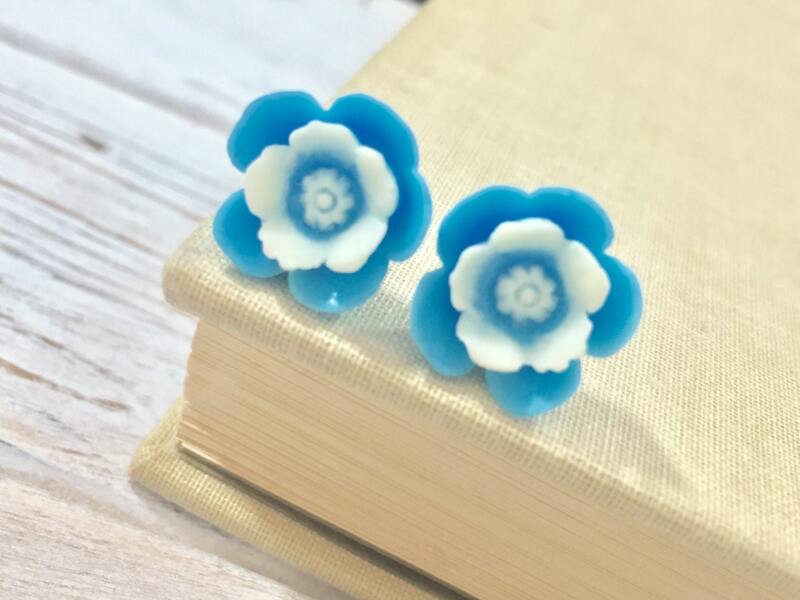 You are purchasing a pair of earrings like those shown measuring about 1/2 inches (13mm) in diameter. 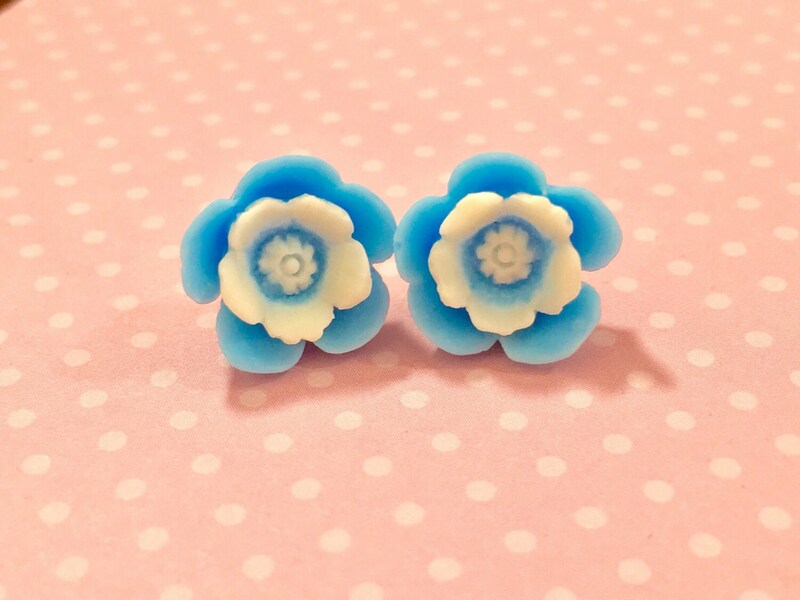 PLEASE NOTE: All stud earrings are MADE TO ORDER so please allow up to 72 hours for me to prepare your earrings for shipment.